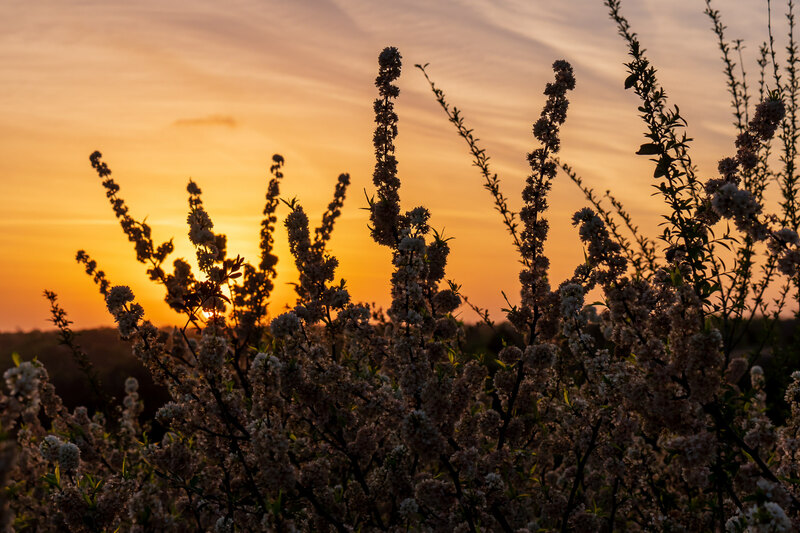 The sun rises on the Tandy Hills Natural Area, Fort Worth, Texas. 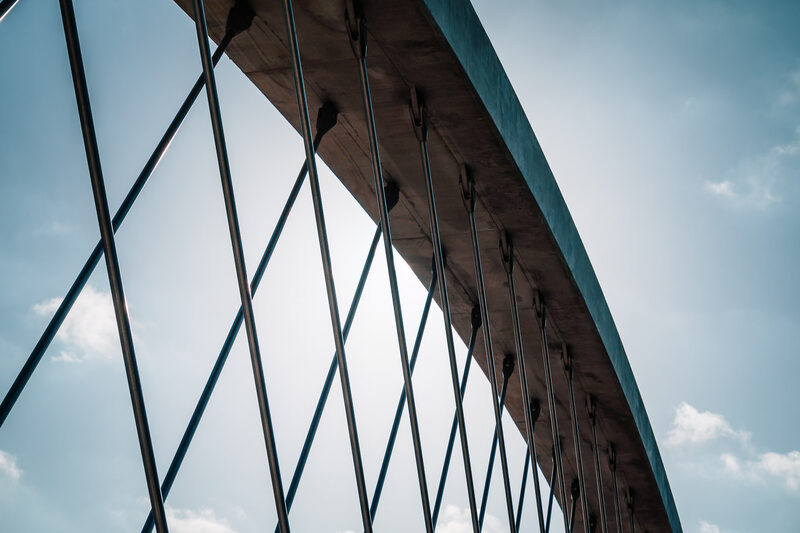 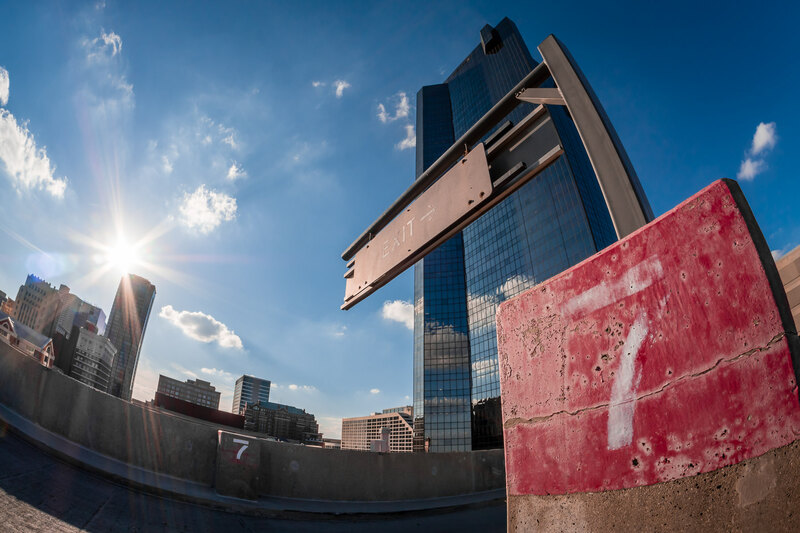 Architectural detail of Fort Worth, Texas’ iconic West Seventh Street Bridge. 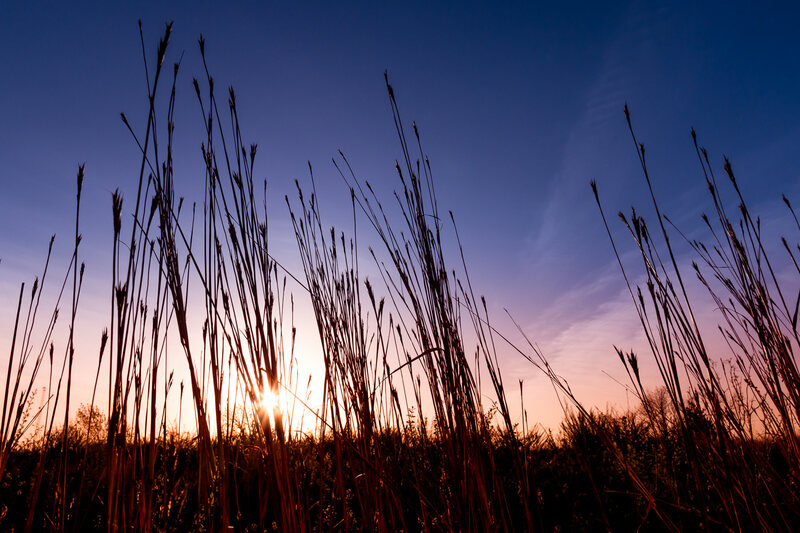 The sun rises on tall grass at Fort Worth, Texas’ Tandy Hills Natural Area. 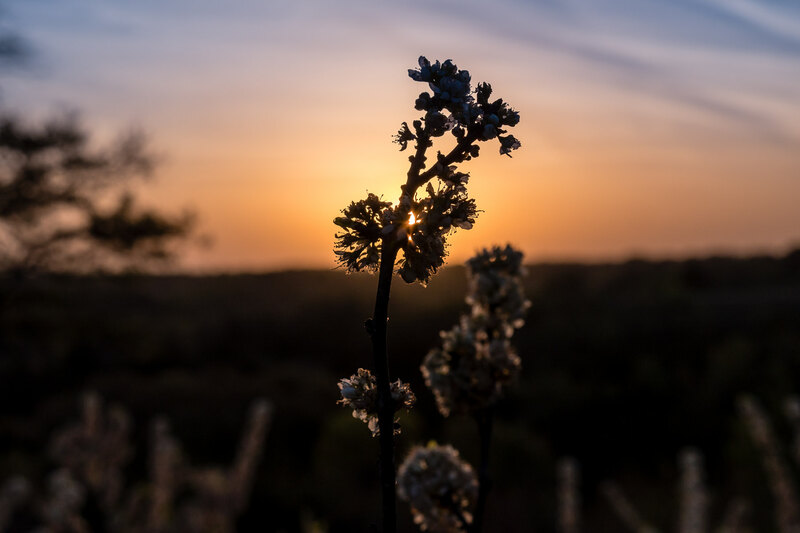 Early morning at the Tandy Hills Natural Area, Fort Worth, Texas. 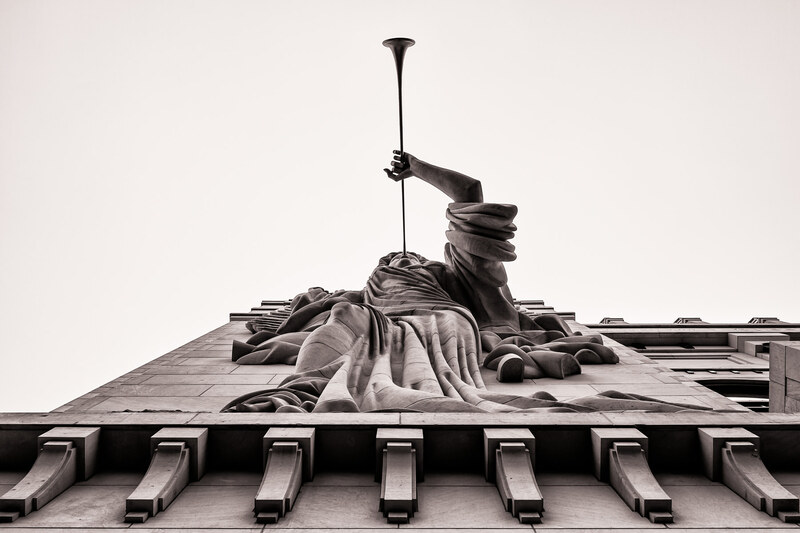 One of two 48-foot-tall trumpet-playing angels on the façade of Fort Worth’s Bass Performance Hall. 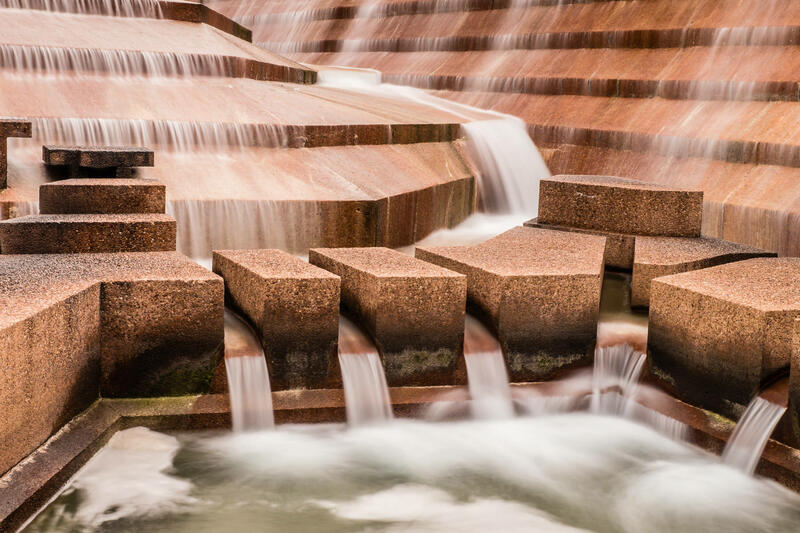 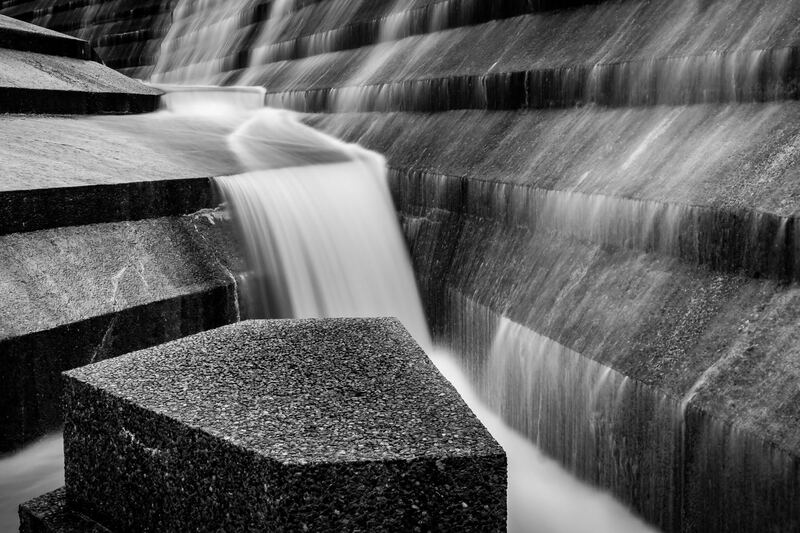 Water cascades over concrete aggregate blocks in the Active Pool at the Philip Johnson-designed Fort Worth Water Gardens in the south end of Downtown Fort Worth, Texas. 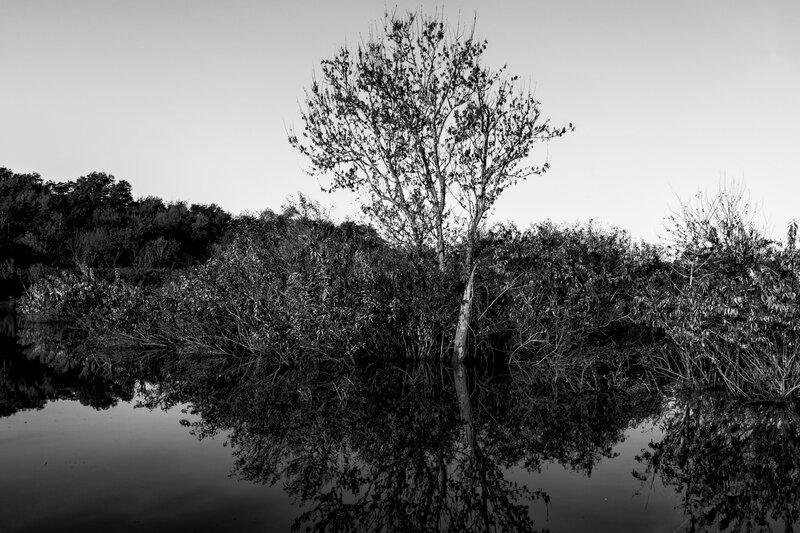 Trees are reflected on the smooth waters of a branch of Lake Worth at the Fort Worth Nature Center & Refuge, Texas.